Hi all, I am Abhijeet from the heart of India, Delhi. 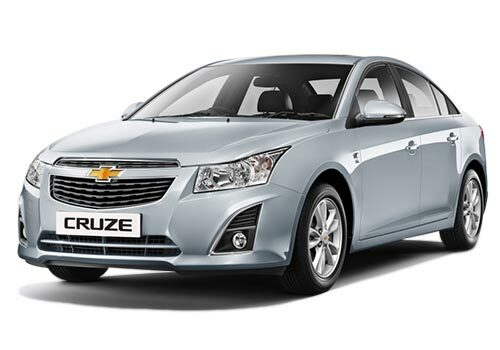 I became the proud owner of Chevy Cruze LTZ AT on Diwali, last year. Prior to my purchase, I was confused which car to opt and what maintenance cost would it require. I crosschecked and test drove Honda Civic, Volkswagen Jetta and Skoda Laura, but I got fleet on Chevrolet Cruze on its very first drive, as I found it a value for money roadster in all prospects. Friends, I posses the automatic transmission variant of Cruze, which is very genuine to handle and gives me immense pleasure while I drive it at high speed marks. Chevrolet Cruze has better sitting comfort than Honda Civic and Volkswagen Jetta, also I found it more capacious than its competing cars. Rear seats occupants can sit comfortably as the car is bestowed with sufficient headroom, legroom and shoulder space. The car runs like a F1 rally speed pullman at a gentle acceleration. In terms of maintenance too, Chevrolet Cruze is a wise choice as it avails free maintenance and warranty for a longer tenure than other competing sedans. Moreover, in terms of mileage too, my Cruze is far ahead than Jetta, Laura and Civic. It gives mileage of 12 – 13 km/l in city and 15 – 17 kmpl on highways and I believe none of the other automatic transmission sedans in India would be capable to deliver such a tremendous mileage. The only problem I find with Cruze is its low ground clearance as the base of the car touches the ground while driving on bouncy tracks. Chevrolet Cruze ground clearance is so low. so it's a big fault.